Here's a problem facing me at the moment. I am in the process of making editorial corrections to the first volume of The Torah Encyclopedia of the Animal Kingdom, dealing with wild animals. This is a comprehensive work that is intended to include every reference to these animals in Tanach, Gemara and Midrash. And the chapter on hyenas is presenting me with particular difficulties. Now, how am I to discuss this in the book, bearing in mind that it is intended for a broad readership? I can point out that spotted hyenas (though not the striped hyenas of the Talmud) are, curiously, the only carnivores known to be able to carry the rabies virus without suffering any ill-effects. But this would not appear to be particularly relevant. Even if it was somehow known in antiquity that spotted hyenas can contract rabies without harm (which seems highly unlikely), and even if that belief was transferred to striped hyenas (or if the phenomenon also exists with them), it still would only, at best, account for why people would relate hyenas to mad dogs. It would not mean that writing an incantation on a hyena hide, then burying one's clothing and later burning it, cures rabies. "We must inform you that our Sages were not physicians. They may mention medical matters which they noticed here and there in their time, but these are not meant to be a mitzvah. Therefore you should not rely on these cures and you should not practice them at all unless each item has been carefully investigated by medical experts who are certain that this procedure will do no harm and will cause no danger. This is what our ancestors have taught us, that none of these cures should be practiced, unless it is a known remedy and the one who uses it knows that it can cause no harm." A similar statement can be found in the famous treatise of Rabbeinu Avraham ben HaRambam, and it was also endorsed as a legitimate (albeit minority) view by Rav Shlomo Zalman Auerbach. These views were also cited by my own mentor, Rav Aryeh Carmell ztz"l.
On the other hand, according to Rabbi Moshe Meiselman, this remedy was certainly effective, at least in Chazal's time and place. Rabbi Meiselman claims that Rav Sherira Gaon just meant that we do not know how to apply Chazal's remedies, that the treatise of Rabbeinu Avraham ben HaRambam is a forgery, that Rav Shlomo Zalman was writing off-the-cuff and should not be taken too seriously (pp. 101-2), and that Rav Carmell was a proponent of heresy! Rabbi Meiselman does not explicitly discuss the hyena remedy in his book - presumably because it would look quite foolish for him to endorse writing incantations on hyena skins, burying clothing for a year and then burning it, and warning against seeing demonic shadows in water. But this is clearly his position, since he emphatically states that there is no basis for claiming that any of Chazal's remedies were simply mistaken, and that to do so is called "mocking the words of the Chachamim" (p. 233). 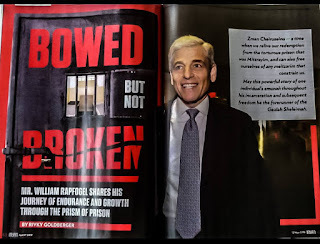 And, according to a review of Rabbi Meiselman's book by Rabbi Raphael Fuchs, which appeared in Yated Ne'eman, The Jewish Press, Kuntrus, and Yeshivah World News, Rabbi Meiselman is one of the "select few" who is qualified to write about such a topic, and demonstrates "an extensive understanding of science from a sophisticated point of view." Thus, many readers will expect to be told that writing incantations on hyena hides was indeed an effective cure for rabies. So, what do I put in the Encyclopedia, which is not intended to be a work on conflicts between Torah and science, but rather a comprehensive guide to all references to animals in Torah literature? Should I even mention the view of Rav Sherira and Rabbeinu Avraham? 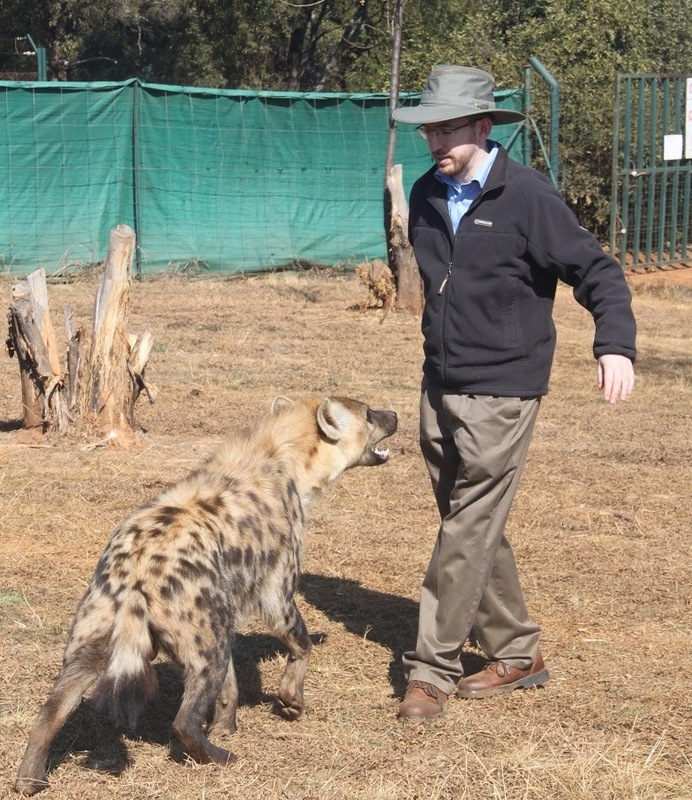 Should I mention that Rabbi Meiselman considers the hyena remedy to have been effective? There are all kinds of different ways of phrasing things, and no single correct way. Whatever solution I come up with, there will be people who are dissatisfied. As I mentioned in a previous post about hyenas, siz shver tzu zein ah ZooRabbi! I would be interested to consider Rabbi Slifkin's thoughts on such a Gemara. Shavua Tov & Chanukah Sameach. Regarding the comment I just sent about the snake, I'm really not being facetious. It is a bona fide Gemara (I expect you're familiar with it) and I really would be interested to hear how you deal with such material. Why not use the tried and true method of saying "this passage is cryptic, and beyond the scope of this work"
It's a good job you're an Englishman, Rabbi Slifkin, otherwise I would think you are referring to Englishmen as rabid hyenas, chas vesholom. For someone who believes that anything that can’t be explained scientifically can’t be true, it indeed presents difficulty. I wonder how are you going to comment on copper serpent staring at which cured those were bit by a snake (Bamidbar 21:8), not to mention red heifer and talking donkey? The skin of a male hyena is cute but difficult to get the hyena to cooperate. Shavua tov. Chag urim sameakh. If Rav Sadya Gaon meant only that we do not know how to apply it, he would not have said that the sages were not physicians. Why not present both views on conflicts between Torah and science. Don't see why you would do anything other than just quote the gemerah. You're making it more complicated than it should be. Put difficult material on a "further sources" website. No true yireh shamayim would be on the internet, would he? tube of gold [for drinking purposes]." Interestingly, it doesn't say that Abba b. Minyumi ever used this tube. PS: Can you provide a translation for "hami, kanti, kloros"? This might help me determine how I'd proceed. Just a suggestion. I agree with you, though, that this won't be an easy topic to navigate since I'm sure this same problem comes up numerous times in all sorts of ways. Best of luck to you! WADR, it's a lot harder to be in R' Meiselman's position than to be a "Zoo Rabbi." As R' Mordechai (Mark) Tveyn famously said, "Tell the truth -- that way, you don't have to remember anything." All a "Zoo Rabbi" has to do is quote the texts and state the facts. It undeniably requires hard work and time, but it is undeniably doable. On the other hand, it appears that R' Meiselman has set before himself the task of maintaining simultaneously that (a)Chazal were always right in matters of science, (b) the Geonim and Rishonim were also always right, and (c) a certain unnamed person was usually wrong, and keep all the stories straight. That would appear to be a much harder task to accomplish, requiring either divine assistance or the ability of Lewis Carroll's White Queen to "believe six impossible things before breakfast." In comparison, you have it easy. I suggest that it is best to write the truth as you see it, including the words of those such as רבנו אברהם בן הרמב"ם. As to the very misguided comments of certain חכמים בעיניהם, don't add to their flame but allow them to die out on their own. You should quote the gemara, R' Sherira and R' Avraham. You should absolutely NOT quote or mention R' Meiselman anywhere in your encyclopedia -- it would absolutely not be kovod haTorah or kovod to Chazal or anything letoeles. If you absolutely have to mention him you should mention him the way he mentions you -- "Some rabbis say...." You could just sort of say that some people take everything in the gemara literally, but that isn't tenable. But really I don't think you should even address the possibility of taking the gemara literally in this case, it is not kovod hatorah. You could have mentioned Hirsch also in addition to R' Sherira and R' Avraham. btw I don't think this remedy of the hyena skin is in the category of "medical remedies" -- I think it's in the category of incantations, magic and so on -- which the gemara seems to say can help sometimes (?) - but placebo doesn't work against rabies!!! Please think of the purpose of your book and keep your personal feelings out -- Meiselman's book will be long forgotten and gathering dust on remainder tables, your encyclopedia will be on shelves for generations as a beautiful and fascinating reference book -- don't give him space in your book at all. That is my heartfelt opinion and advice. Is there not enough material in the hyena chapter that you have to get into all the details of this rather obscure Gemara? I concur with Ezra above - just mention in passing that the Talmud makes reference to hyena pelts being used as part of a cure for rabies. In the footnotes, cite the Yoma source and be done with it. Your job here is simply to report where animals enter into classical sources, not explain the rationality of those sources. So, see, it's actually *easy* to be the Zoo Rabbi. What's harder is to be the Rationalist Rabbi! I concur with those who advised you to skip the commentary on the cited gemara. Just a simple citation will do for the avowed encyclopedic intent of the volumes. You can elaborate somewhat on the different viewpoints regarding such folkloreish elements in talmud and midrashim in your introduction. However, attempting to do a credible job of analysis of the different viewpoints in each citation will lose your readership, either out of boredom or ideological objection. Hatzlacha on your publishing efforts. I suggest quoting both views - but find a source that's more mainstream than Rabbi Meiselman for your source that "these treatments did work in antiquity." I read the full ,page infomercial for Rabbi Meiselman`s sefer. Init he , he says that while science changes, the Torah does not. But that`s exactly the problem. Science allows-even encourages new proofs , new ways of seeing things. If something can be proved false, then out it goes. Some of our respected rabanim can look at some ancient cure, or treatment, say that it`s true forever, and call us apikorsim if we beg to differ. These days it`s difficult enough staying on the straight and narrow without being told to believe in hyena skins, lead droppings( see Mishpacha this past week) or whatnot. I don't understand why believing that at one point in time people were able to manipulate the spiritual world in certain ways, and to effect physical cures, other effects etc. is so much more difficult than believing in phrophecy and miracles? So we don't see such things in our experience. Why does that make it too difficult to believe historically? To say confidently that it's not true, one would need knowledge of every claimed event or detail, or adequate knowledge of the physical and spiritual worlds and how they're connected, or maybe to show that anyone who ever claimed such things is unreliable. I seriously doubt anyone has such knowledge. It seems people are just afraid to be seen as naive fools, which popularly means believing anything that can't be shown emperically(Thats how it's presented. Really it's just anything that happens to not be popular). But the truth is that those who cling to popular opinion(without valid reasons) are the naive fools. Asides from the fact that it reflects a weakness in character and inability to decide one's own mind, it's also obviously wrong. Many important things that most people believe are not known emperically. Playing the skeptic and posing as one who is strong minded and won't accept things easily is a cop-out for having to give good reasons to support ones beliefs(positive or negative or neutral). footnote that bad boy. end of story. > I don't understand why believing that at one point in time people were able to manipulate the spiritual world in certain ways, and to effect physical cures, other effects etc. is so much more difficult than believing in prophecy and miracles? See, now, that would have been a valid approach - "The cure was not based on current science, but rather on Chazal's ability to bend reality to their will using their mystical powers". The problem is, that's not the approach. The approach R' Meiselman has taken, based on R' Slifkin's quotes, is to say, "Chazal were in fact talking about their understanding of the natural world, and Chazal were never wrong." Why is that a good idea? I really can't fathom. As R' Slifkin has pointed out, it creates problems with Rishonim who had no problem saying that Chazal do not claim any special authority when it comes to their understanding of the natural world. Another solution that Rishonim and Acharonim take is "nishtana hateva" - yes, Chazal did observe this in the natural world, but we are not able to, so something has changed. That preserves everyone's dignity and respect, and is a perfectly reasonable solution that has been around for centuries. Why that's no longer good enough, I also can't fathom. New theory: it's not only R' Slifkin that's the cause of this book being written. It's also the increasing popularity of Daf Yomi. Until recently, most people were never exposed to these gemaras, and lived their lives in blissful, simple, Emunat Chachamim. Now that every Yid is expected to learn Daf Yomi ... well, you can't just let them think Chazal didn't know biology, can you? frum anyone, there is an unbridgeable distinction between achieving communication with the spiritual realm and attempting to manipulate it. The former has in the distant past resulted in genuine prophesy; the latter is in the realm of forbidden or nonsensical magical ritual. Possibly the latter rituals were advocated because they provided psychological relief to the victims. More likely, however, there was an acceptance of folklore as truth. While there is a serious debate among the early codifiers (Rishonim) - Rambam and Ramban, for example, as to the efficacy of magical acts, there is no debate as to their inapplicability in post-talmudic times. Put another way, prophesy and miracles are acts of divine will; magical ritual are the misguided acts of men. he says that while science changes, the Torah does not. But that is exactly the point. Reality does not change, only our best description of reality changes. What is true today, was true yesterday and will be true tomorrow. I don't accept that science changes the methodology of science is consistent. Only science's accuracy of understanding changes (gets better). When Mieselman says science changes he is saying that science is unreliable. What is true today was not necessarily true yesterday. In this he is being both mendacious and disingenuous. That is both not true, and idolatry. Only Gd is constant and unchanging, (maybe) . 'Yesterday' the Dodo bird was not extinct. 'Today' it is. 'Yesterday' a virgin birth was impossible , 'Today' it is possible. Reality changes, what was true yesterday could be false today. That's true for physics, but not necessarily biology. I disagree (obviously, since I made the original contentious comment). Biology is just a special form of chemistry, which itself is a special form of physics. "When Mieselman says science changes he is saying that science is unreliable." This article is one of many of its kind. It's true, scientists are always changing their minds. Makes you wonder why R. Meiselman believes scientists that lice never spontaneously generated and says that the mesorah on this is wrong. The irony here is that it is the scientific method that has revealed the issues being discussed. Rather than simply making an observation once and declaring it a fact of immortality, scientific inquiry is continually testing those assumptions and including those new findings into its models. Scientific skepticism is the cause of skepticism in science. Au contraire, what "someone who read the book said" posted is entirely overblown. Sure there are mistaken hypotheses and tests, particularly involving living subjects with brains whose workings are not well known (not to mention experimental bias or outright chicanery). Disparaging scientific results in general because of such irregularities is akin to condemning talmud study because some practitioners propose weird or self-serving interpretations of the texts. The reason for the success of the scientific enterprise is that results are subject to verification by others. As long as no such verification exists, the hypothesis proposed must be considered as tentative, at best. Besides, if one really believe that science is unreliable, I suggest staying away from cars or planes, and not turning on electrical appliances. Kara said "That's true for physics, but not necessarily biology." We don't really know that this is true for physics. Rather we take it on faith that there are fundamental physical laws governing nature and that these laws do not change. We have no way of actually knowing this to be true, it is just an assumption that underlies physics as scientific inquiry. Sorry Kara and Benignuman, I agree with Yossi, what has been well established in physics, chemistry, and biology - to mention the particular hard sciences referenced, is fully expected to remain true tomorrow, next year, century, or millenium. Certain biological characteristics are expected to change over the long-run based on evolutionary pressures whose course depends on conditions in a relatively predictable way. The laws underlying physics and chemistry are not so time and condition dependent. There will be changes, no doubt, to the current laws and models based on new data. That's how science progresses, but is hardly a cause for cynicism about the scientific enterprise. On the other hand, it is proper to describe expectations of invariant behavior in inanimate things as belief. It is belief with the strong backing of experience, however, i.e., belief that can be demonstrated to be valid even if not proveable. You misunderstand my point. I am not advocating that we should stop assuming that there are some fundamental, unchanging, physical laws that govern nature. I am merely pointing out that science has not and cannot demonstrate this to be true. Rather it is taken on faith because otherwise the entire enterprise of science would fall apart. Even assuming all our current data is perfect and all our observations are perfect, the assumption that things operated in the past as they operate today, or that things will operate in the future as they operate today is just that -an assumption. I think this is a rational assumption (because I believe that creation is the product of an Intelligence) but I acknowledge that there is no way to know for sure if it is true. You misunderstand my point. ... I am merely pointing out that science has not and cannot demonstrate this to be true. Rather it is taken on faith because otherwise the entire enterprise of science would fall apart. Benignuman, I agree! It is an axiom of science that what we experience is a true reflection of reality. It is a matter of faith. Update: I just discovered that the Roman physician Scribonius Largus, in Compositiones Medicamentorum 172, attests to the use of hyena hide as a prophylactic against rabies. Rav Slifkin, You are as entitled to write from your point of view as R. Meiselman is to write from his point of view. Your book will be much enriched if you include the remedies that Chazal describe in the Gemara in your work. I don't think there is a need to argue why they won't work. At the very least, a rabies infection isn't guaranteed from a bite, or the large death toll in the developing world from this disease would be even higher. But if, G-d forbid, a member of R. Meiselman's family were to receive a bite, surely he would seek today's medical treatment first, whatever his beliefs about Chazal's medicine! Unless you want to write a book aliba d'Rav Meiselman altogether, he's going to object to what you say. Chazal said what they said - mai d'hava hava! The rest of us would find your insights into the world of Chazal and nature valuable in their own right. So please include Chazal's use for hyena skins, and your discovery that the Roman world advocated this cure also, and let R. Meiselman and his followers draw their own conclusions. They are going to anyway.